Fan art & Stories 07 Sep 2011 09:40 pm by David ! Thanks for entering our Fanfic Flash Fic micro-contest! The little stories were very fun to read. Here are our favorite entries, organized by theme. Each 55-word story takes place in an existing pop-culture, historical, or literary universe. When he opened the envelope, the slip of paper screamed, “TIGER.” His heart sank as fear and suspicion bubbled up slowly, a toxic swamp in his stomach. Sure, the prediction didn’t indicate any specific tiger, much less his tiger friend, but Calvin was suddenly aware that he would never have a peaceful night’s sleep again. 2000+ comics, and they haven’t gotten him yet. He’d thought the prediction was ridiculous. But then they started appearing. Always in the fourth stage of his conversations, always in pink sweaters. He stomped the first one fearfully, instinctively. Now it’s routine. Later, the Louisa May Alcott novel hits him at 3,000 m/s. It didn’t matter what the slip said, it was too unreal. Too ridiculous. Jenny just couldn’t believe it. Even when it appeared on the TV, bright and green, it looked like something out of Saturday morning cartoons, even destroying houses, killing people. Now, as the creature’s foot loomed ominously over her, it felt vaguely familiar. Life had always been rough for Charles, but this last week took the cake. First his kite got him struck by lightning; then his dog died. Holding the slip of paper in his hand, he walked past adults with voices like muted trombones. Charles read the single word to himself: “depression.” Good grief, he thought. The paper’s “Suffocation” would not make him shriek nor weep nor swoon. To know that at his time of death he’d simply be deprived of breath. Not looking, he slipped off the deck, and, oh, my stars, he drowned too soon. The captain’s bone leg thumps the deck in sea-time. Thump. Grips his white paper, chews the word and paces. He’ll get what he’s after? Aye, and drag us all down, like as not. Thump. Thump. Death glimmers in the sea’s dark. White weight in the great black belly of the earth, named and marked: Revenge. FOR LOVE – Jen T.
When his name was called, Sydney Carton stumbled forward and submitted his finger to the Machine’s prick. He hoped the presence of alcohol wouldn’t interfere with his prediction, reeking of whiskey as he did. The Machine buzzed and deposited a slip into his hand. For Love, he read aloud. Mr. Carton brightened, and sobered immediately. “Shootout, Mr. Winslow. Our machine said DUEL,” said Neil. “We’ve never had any other inconsistencies,” Harriette confirmed. “So it’s only incorrect with four-letter deaths ending in L?” Neil goggled. Maude never told Ned about the night she got her prediction. She knew he wouldn’t approve. Death prediction might have been a science, but it was still too much like witchcraft. And the Bible’s position on such things was very clear. Besides, she didn’t expect to be near a cannon anytime soon. Not in Springfield. Susan pondered George’s assertions — hours trying to convince her. Naturally, the word surfaced. The secret luxury of knowing, due to wealth, never ceased being a curse. A confusion. Getting fired had helped. So had a newfound lifestyle and eventual desertion. George. Barely three friends. Detestable. Safe. She would say “yes.” No more worries about Invitations. Shock setting in, George waved his children out of the room, and Jane moved closer. Silently, he handed her the freshly printed slip of paper. It was only three words long. THAT CRAZY THING. “We’ve got the machine’s predictions in!” Perry White said to the Daily Planet staff, holding the results aloft. They clamoured around him curiously as he slowly flipped through them, until one suddenly piqued his interest. Realisation flashed across his face. He slapped the prediction down. BATMAN, it said. “The Machine doesn’t use purple crayon,” said Batman. Robert Muldoon got his results young, and feared them. He avoided anything associated with his results. Bars, colleges, and especially college bars. He was a confirmed bachelor. When the experts arrived on Isla Nublar, it happened that “Dr. Sattler” was a woman. A smart woman. This worried him. Unfortunately, that’s not what “CLEVER GIRL” meant. jIH chu’Ha’ la’. nav laDqa’. <<choljaH>>, jatlh. ro’Daj SoQqu’moH. Even when Parker won the pool with IMPALED BY HUNGRY TONGUE, Brett declined to share his results. Have your moment, Parker mused, his thoughts straying to his own pre-flight test. What could it mean? The contraption was from somewhere east, beyond the provinces: clanking brass pipes, rattling wood frame and a slim slip of flattened reed with tiny text inked in three languages. Everyone stared at it, then at Josh, then at one another. Lounging atop Hyrule castle, Ganon consulted again the strange scrap of parchment, then looked over his evil to-do list. Ganon vowed to watch what he clicked. Vito Corleone ran his eyes down the list and frowned. “And you really expect me to believe this?” he asked, raising an eyebrow at the man sitting before his desk. Haha!!! Now I really, REALLY have to watch The Godfather sometime. And, geez, D.C. can’t even change their logo without killing a Flash. 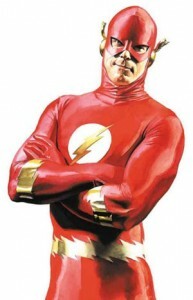 It IS amazing that none of the Flash Fiction stories were about him. That one’s mine. Here’s the translation I included when I sent it:”The Machine of Death is always right,” said the gunner. “If yourprediction says HONORABLE BATTLE, you’ll die in honorable battle. I’dbe proud to get that one. I’d hang it on the wall of the Bird ofPrey.”The commander smirked. “But what if this battle is honorable for yourenemy, and dishonorable for you?””Don’t you want to know?””No!” shouted the commander. “A warrior is not concerned withcertainty. What he desires is honor. I must fight, I must die, but Ido not need to know my fate.”The commander switched off the viewscreen and re-read the prediction.PONYTAIL HOLDER, it said. He clenched his fist. Awesome! I dig the Batman ones a lot. I feel like he and the machine just fit together. Unfortunately, the angle quotes Klingon uses for quotations made the predictions themselves vanish in the story above. First prediction was ‘Hargh quv’; second was ‘choljaH’. Ah, I forgot about this. Of course I would come up with one about Philip Marlowe as soon as I saw this. That said, major kudos to everyone here. REVENGE is coldly perfect, and BATMAN and IMPALED BY HUNGRY TONGUE made me giggle. CLEVER GIRL is a great concept, but I thought the last line could be punchier. Awesome work, guys. Loved ORANGES, DEPRESSION and the UNTITLED ZELDA STORY. These are great. You should add a little mini chapter to the book with a few of these! Hooray! My IMPALED BY HUNGRY TONGUE made it, thanks! Sorry for the bother, but could you guys please reverse the names Brett and Parker in the first line of the story? Parker is supposed to win the pool. My fault. Thanks a bunch. This is raaaaaaaaaaaaaaaaad. Love these stories. Oranges is brilliant.